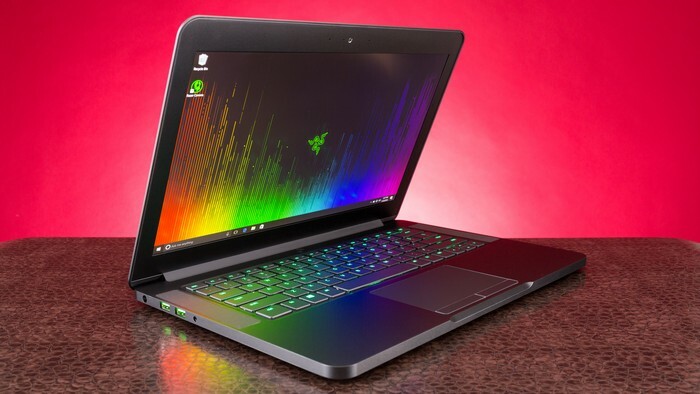 Razer adds another model to its series of gaming notebooks. This time we get a more budget friendly (to some extent) Blade Pro. The new version will be equipped with a GeForce GTX 1060 instead of a GTX 1080 and the resolution of the screen is dropped to Full HD (1920 x 1080p). As we said, the 17.3-inch gaming beast now features Full HD resolution instead of 4K UHD which is actually good as the lower resolution will go well with the GTX 1060. However, the display has a high refresh rate of 120Hz allowing for fast-paced gaming. The Blade Pro is VR-ready so you can enjoy the immersive gameplay. Blade Pro is powered by a 7th gen quad-core Intel Core i7-7700HQ CPU backed by 16 GB of DDR4 RAM in dual-channel configuration. The RAM can be expanded by up to 32 GB. You get hybrid storage configurations. The Blade Pro supports HDDs with a capacity of as much as 4 TB and PCIe SSDs up to 2 TB so you won’t run out of storage that’s for sure. You also get some of Razer’s signature features like an illuminated Chroma keyboard with very high customization options. The Blade Pro is constructed out of CNC military-grade aluminum. The built-in stereo speakers are using Dolby Digital Plus Home Theater Edition surround sound technology that supports up to 7.1 codecs via HDMI. Even though it is a 17.3-inch device that packs a huge 70Wh battery, the Blade Pro weighs 6.78 lbs / 3.07 kg which is fairly light. It is also very thin measuring a profile of just 0.88″ / 22.5 mm.